We are all a big beautifull Valentine to ourselves, and it’s helpfull to remember that self-love is the opposite of selfish. I like to write about self-love around Valentine’s Day and remind and inspire us all to DRENCH ourselves consistently in love- especially if we don’t know how, or if we feel depleted. We can learn and practice new ways of showing ourselves love. It’s tempting to think you have to be part of a couple to fully participate in Valentine’s Day, or have a Valentine Life.You DON’T! Loving ourselves fully means loving even when we don’t know how or even want to. Self-love is an art to be explored and practiced in every kind of condition. 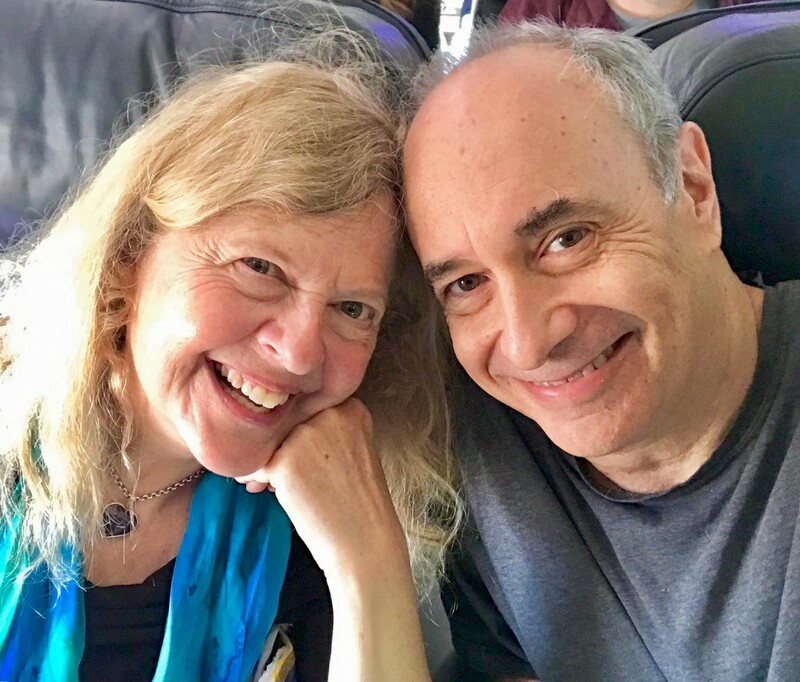 Above is a joyfull photo of David & me happily on our way to the Caribbean. There were also less glamorous chances to practice loving myself later when I got sick after our vacation. Our lives are full of every kind of condition and chance to practice. Each year of my early adult life- and I was often single- my mom would send me a Valentine’s Day card with a really crisp $20 bill tucked inside. She told me that she had specially requested that crisp bill at the bank, and I appreciated her thoughtfulness and attention to detail. In that tiny, but significant way, she was teaching me a new way to love myself too- by paying attention to details and giving myself little gifts that mattered to me. She also taught me to buy myself gorgeous flowers, rather than wait for someone else to do that. I began and continued living life as my own Valentine, and I highly recommend it! Now that I’m in a romantic partnership again, I can feel the machinery of the expectation of the other trying to get started….. oh he “should” do this or that, or I should. Being part of a couple does not diminish my commitment to loving myself. If we are each fully our own Valentine, there are literally no expectations, unless we put them onto ourselves, or allow others to do so. 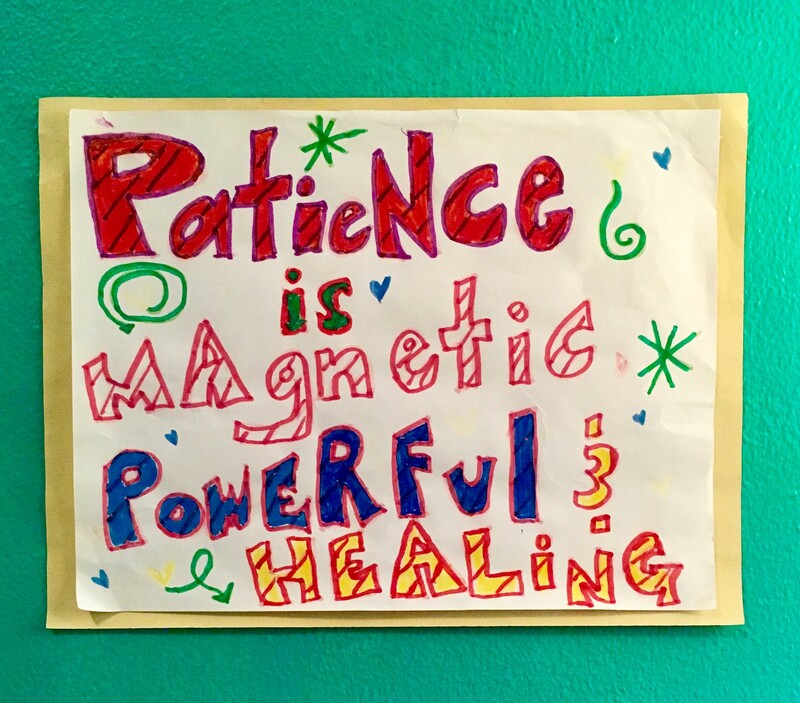 I’m sending you expanded love abilities RIGHT NOW, no matter what you have or haven’t done, or who is in your life in addition to you- I’m sending you a WHOOSH of sparkling, extraordinary, and ordinary love. Leave me a little love note. I’d love to read it! Let me know something you are loving about yourself right now, or want to be loving. I want to love myself even when I get sick- especially then- and not turn on myself, or my body, for having symptoms. 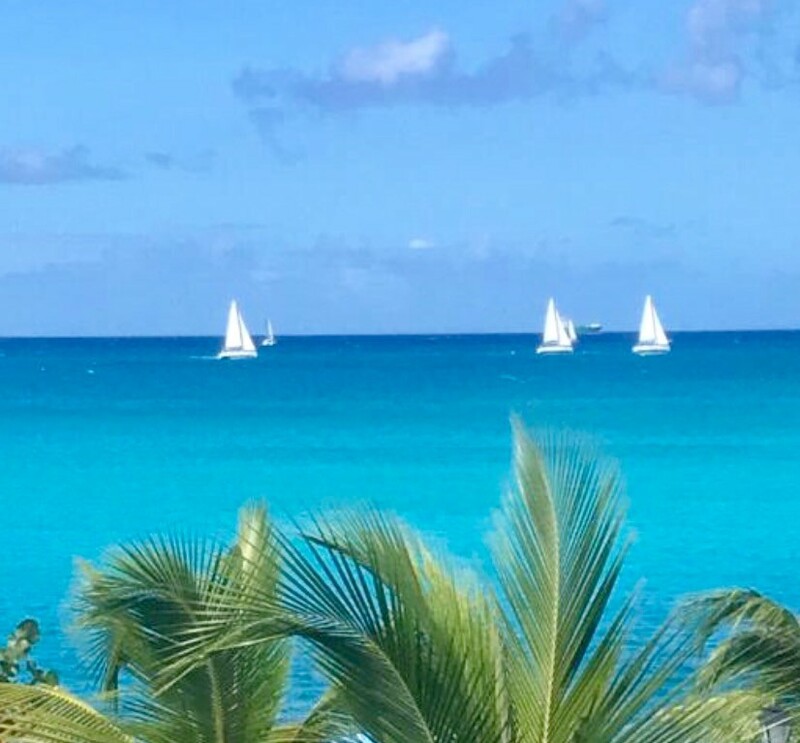 David & I have recently returned from a week’s vacation on an island in the Caribbean. It was our spiritual honeymoon #5, and it took place with his darling parents, at their second home there. We feasted and fested and enjoyed ourselves, each other and the gorgeous views of the ocean. We were also supported by one of my favorite things ever- they have a rule that anyone reading be left undisturbed by anyone talking in that general area! 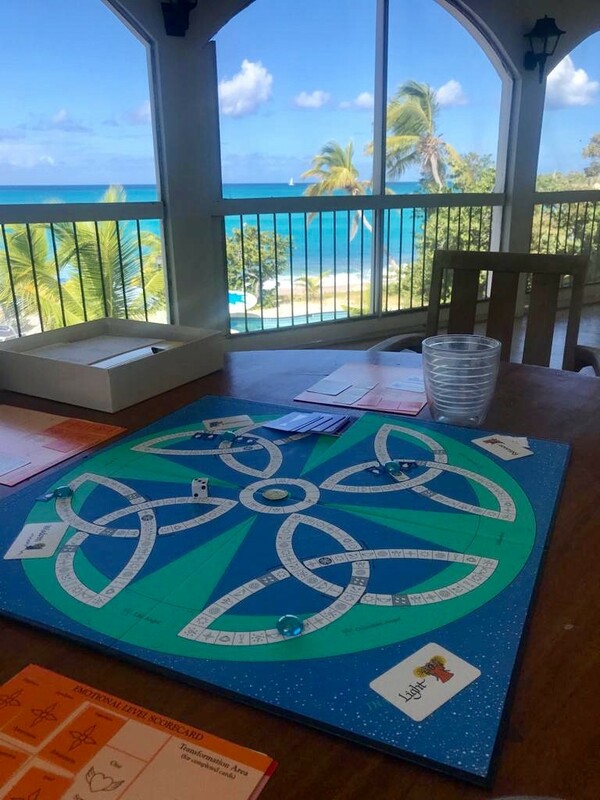 e also played a 4 day marathon version of my all time favorite board game Transformation, which inspired us all, and brought us even closer together to each other. The Transformation Game is a joyfull way to understand how to play the game of your life, and this is my enraptured recommendation of it- just because I love it so. Joy Drake & Kathy Tyler are the amazing creators and can be found here. You can say that SARK sent you if you want- just for fun. 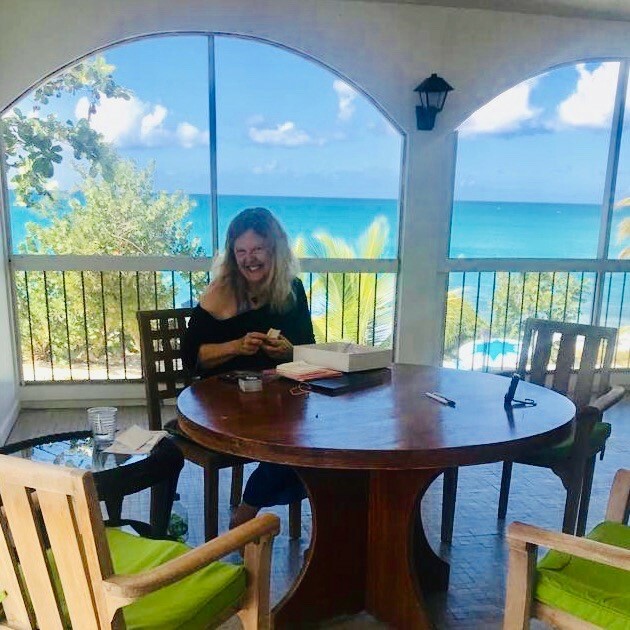 Meanwhile, I couldn’t breathe without coughing- and all of my potions, remedies, homeopathy, acupuncture, reiki, energy medicine, tinctures, essential oils, tapping and REST, did not result in the symptoms going away as quickly as I wanted them to. I’m feeling much better now. And since we are newly living together, I was faced with being at my absolute worst, in front of David for the first time. I also had to cancel a major work week and chose to surrender fully to his care, since he offered, and had the time and energy to do it. This is/was not easy for me to do. I have been much more comfortable being in charge and doing most things myself. Becoming interdependent with another is a challenge for an independent type, and allowing more love IN requires practice receiving. You may know that I teach about receiving too, and this is something we will be focusing on in more depth in my online membership called the Succulent Wild World. It doesn’t mean that I’m great at it, or great at it all the time! It means that we can practice a lot more- together. I have discovered during this illness, that David’s care is a great blend of neither hovering or ignoring me, and I have gratefully received his foot massages, baths being run, beautiFULL love messages put on my wall, neck massages, meal cooking, dishwashing, vegetable juicing, book reading out loud, movie watching, library book returning & picking up, and just generally being such a dear darling soul. Daffodils and lilies have appeared, cards were written and I am (mostly) reveling in it all. Mostly is because I’d rather have no symptoms at all, and just feel good. I’m also aware that over the long term, we’ll both be caring for each other- perhaps less comprehensively or at least differently, than this first time. As we further become life partners, we will see each other in sickness and in health and in all of the marvelous messy middle places in between. And OF COURSE there are areas of disarray, places where one excels and the other doesn’t. There are forgettings, leavings, refusals or misunderstandings that arise out of proportion- one or both get “triggered” and who forgot what again, and how to allow our differences to shine past the fog of idealizing. It’s all about micro truth telling, joyfull solution creating, and letting our Inner Wise Selves and God lead the way. We are experiencing life day to day as perfect playmates on an eternal play date- the REAL version- with all of the feelings active in our emotional families, and by allowing ourselves to break down, fall apart, confess fears, and share our big tender hearts as fully as we can with each other, and with everyone. For we are each committed to dating and loving the world- as part of our partnership and lovership- to living in a state of Loving As the Whole Point, and to being our own Valentine’s Day/Life people. We invite you to join us- leave a little note so we know you’re on board. p.s. I play around on Instagram now too- you can find me there SARKifying life! You can join me here. One of the greatest blessings of loving and being loved by David, is that I am privileged to love and be loved by his family as well. 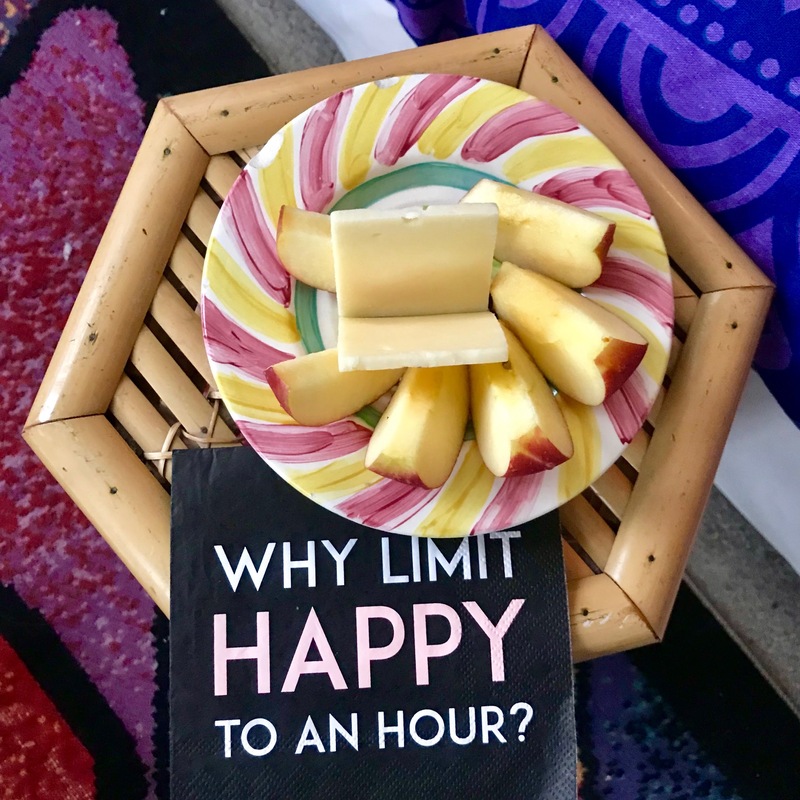 This is a napkin that his mom used for her birthday party, and of course, the message on it delights me- and I thought it would delight you too. 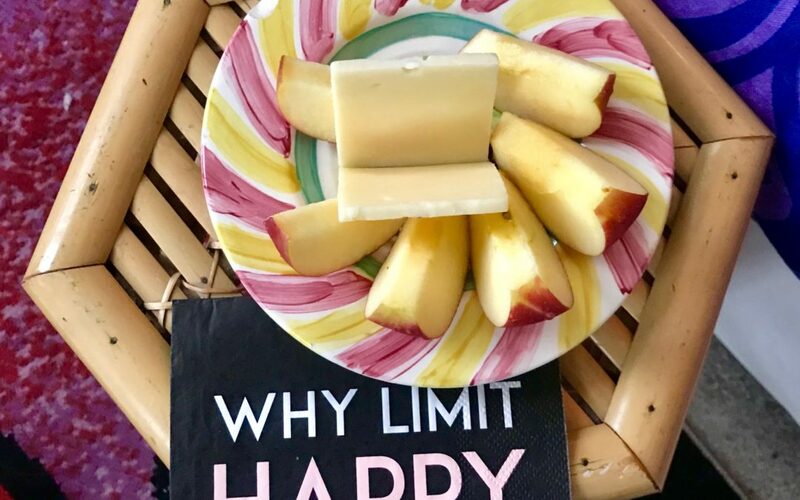 I love finding more ways to expand happiness, and you probably know that I practice doing that everywhere- even at the dentist, in traffic jams, or in line at the post office. It’s all part of my “marvelous messy middle” way of being. David and I are on our way to spend a week with his parents at their home in the Caribbean, for our 5th spiritual honeymoon, and our 8 month anniversary together. 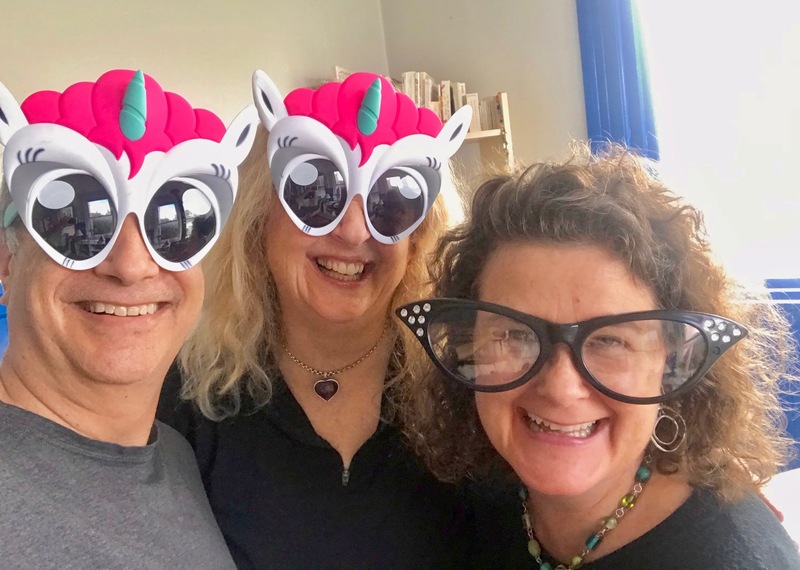 We are loving living life together in San Francisco, and are creating all sorts of fresh systems and lovely traditions together, as well as shape shifting our home at the speed of love. I was going to title this “Love defrosts the freezer and lets in the light”, because we defrosted the freezer (I know, it’s an older freezer;-) and David uncovered a light in the back of the built in refrigerator I hadn’t known was there for 23 years! I now hear angels singing when I open the door. We are laughing with chaos, we are cooking healthy delicious food, and we are creating all kinds of wonderfull new things to share with the world. 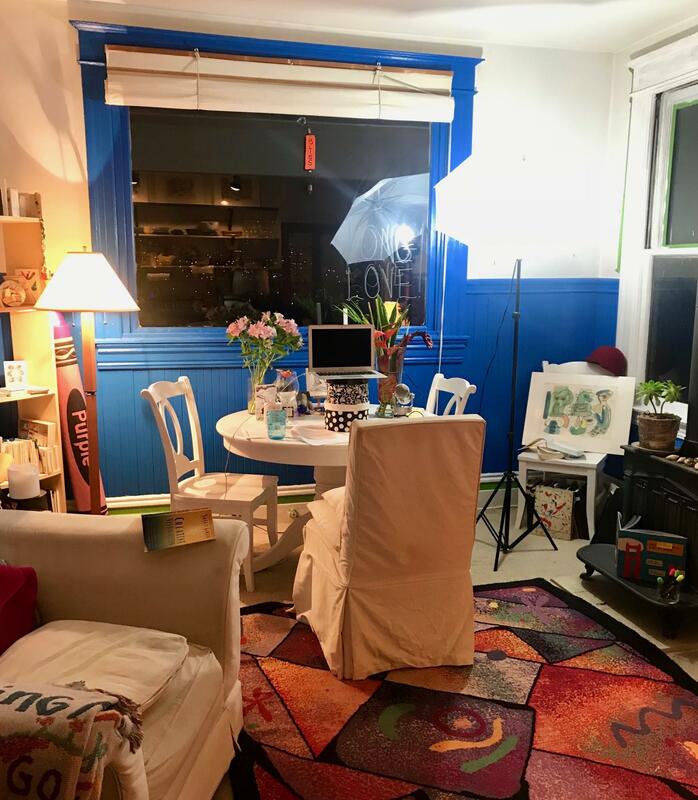 Here’s what our living room looked like last weekend after I taught one of my online video reTREATS- I love offering these powerfully magical gatherings and am already planning the next one for the spring. HERE’S TO MORE HAPPINESS EXPANSION FOR US ALL. And here we are with our dear friend Jennifer joyfully visiting us. Laughter and play are part of how we expand happiness, how do you? LET ME KNOW!